Set in the midst of lush greenery and peaceful silence, The Woodss is only 60 kms. from Mumbai city on the Mumbai-Goa highway. The Woodss is situated right below the Karnala Fort and very close to the Karnala Bird Sanctuary. While the fort is historically important, the forest below the fort which is so dense with a variety of birds, animals and natural vegetation is a perfect getaway from routine and monotony. The Woodss is comfortably stretched over ten acres of land and it is impossible to miss its imposing Victorian Architecture. The ambience is cool and relaxing and just right for lazy weekends. 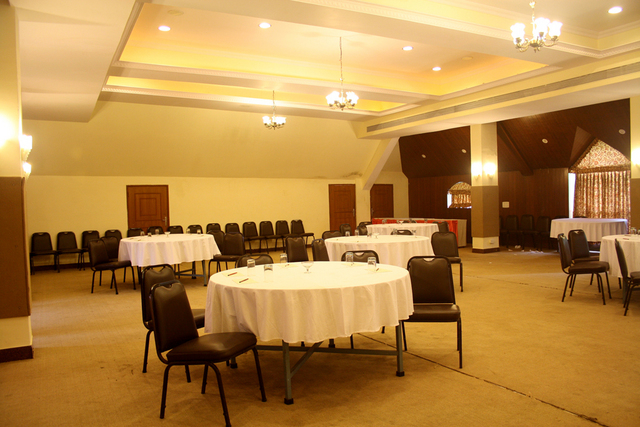 Banquet Facilities, Family/Child Friendly, Room Service, Beauty Services, ATM/Banking, Airport Transportation, Business Facilities, Parking, Wedding Services, Health Club. Climate Control, Fax Machine Room, Bottled Water in Room, Toothbrush/Razor on Request, DVD Player, House Keeping, Bathrobes, Room Heater, Slippers, Cable/Satellite TV. ATM/Banking, Banquet Facilities, Beauty Services, Breakfast Services, Business Facilities, Coffee Shop/Cafe, Doctor on Call, Laundry Facilities, Parking, Restaurant, Room Service, Secretarial Services, Bar. Net Banking, Credit Card/Debit Card, Cash, Foreign Currency, Paisa Pay. User reviews for "K Star Woods Resort Mumbai"
© 2017-18 ResortsInMumbai.Co.In All Rights Reserved.